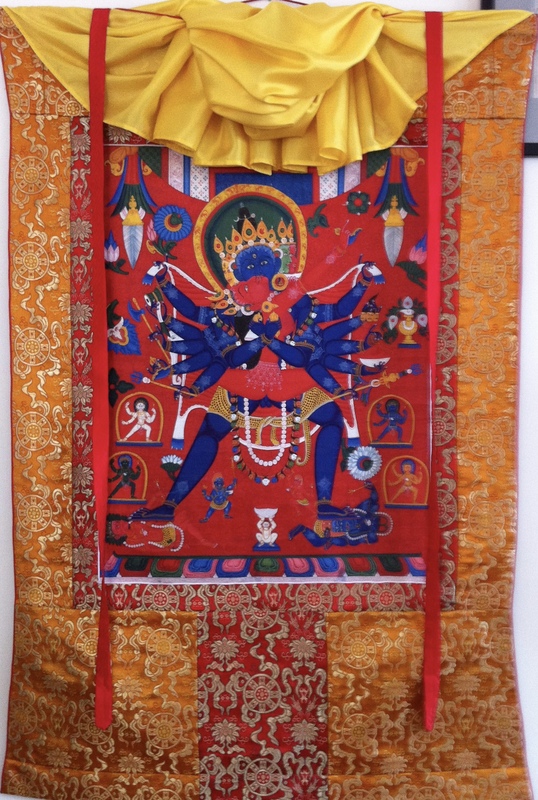 Since being introduced to thangka framing by Chogyam Trungpa Rinpoche while working on the large Vajradhara thangka for the main shrine room at Dorje Dzong in Boulder (which now hangs in the Great Stupa of Dharmakaya), both traditional and innovative thangka framing have become a passion. 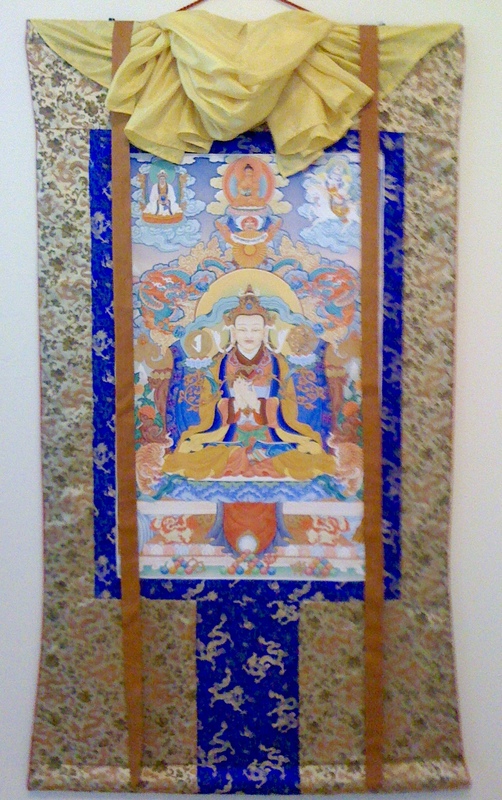 Ms. Luscomb has framed dozens of thangkas for Buddhist practice centers as well as individuals. 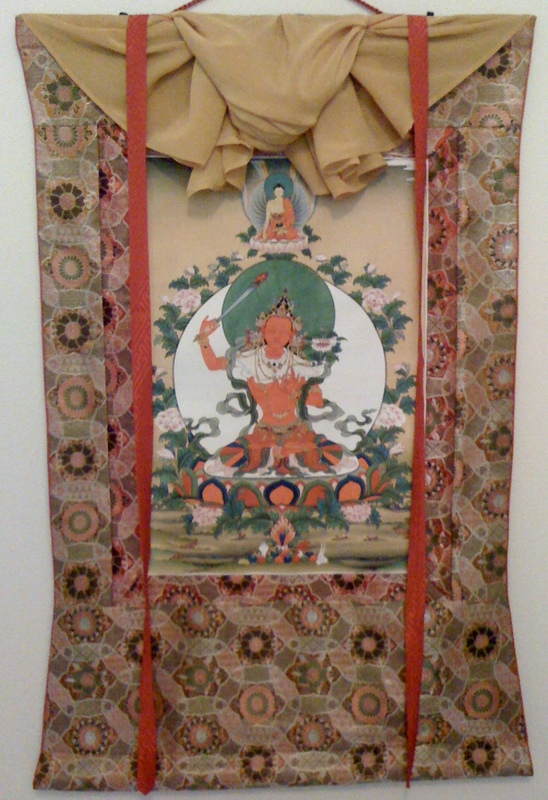 For more information please download the Thangka Framing Contract. 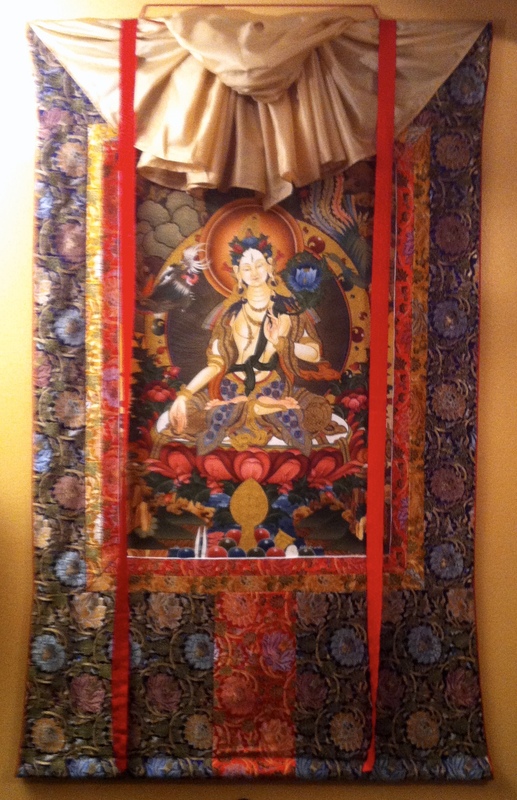 I picked up my thangka this evening, and I am so pleased with your work. I am sure that it will make a wonderful addition to my new home and will benefit me and all who see it. It looks GREAT and is hanging at the Center! I have just unraveled it and I'm yet to close my jaw. Thank you so much! I did expect something very nice, but all of the elements work so well together. The blue cover is a beautiful surprise, and the brocade really does pick up the painting so well. 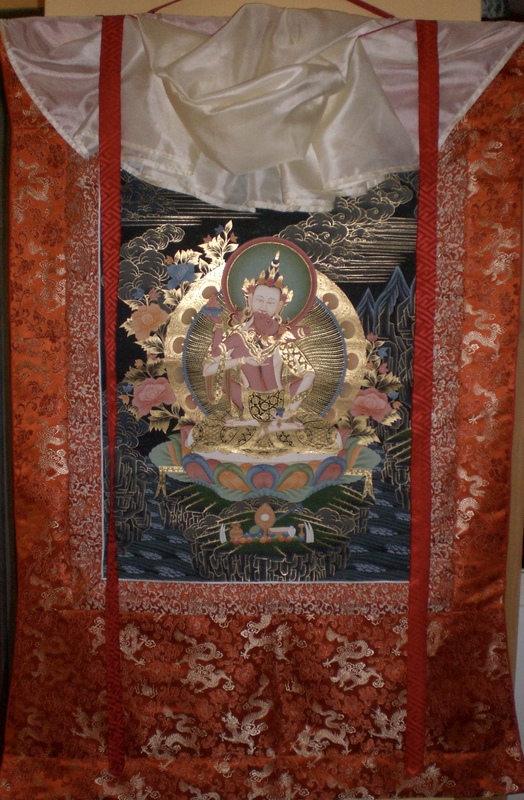 Received the thangka today and I could not be more pleased with the results of your labors. It is absolutely spectacular in every way. Thank you again for your artistry and skills. The thangka looks great!! Good choices and terrific work. Thank you. Thank you. The thangka is framed beautifully. The fabric you selected is just right and the sewing job is your usual excellence. Your skill, and especially your kindness, are appreciated. Thank you so much for your exquisite work on the thangka — for me and many others who will see and practice with it — much gratitude to you, our sangha treasure!